UNDERCOVER will now team up with MATTER, the legendary leader of the racing and freeskating world to create the ultimate wheel brand. Both brands have combined forces to start a new era of blading meaning that the differences between all disciplines: aggressive, powerblading, freeskating, recreational and even fitness skating are disappearing, resulting in one big, united community of skaters. 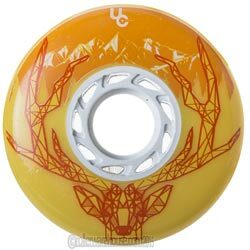 All our wheels are exclusively poured in California and they are created with the most durable, fast and grippy PU and the finest core compounds available in the industry. All proudly made in USA, Huntington Beach, the cradle of skating.